Thailand Caps Companies, Thai Caps Manufacturers make many different products for different uses. Personal caps as fashion accessories or caps for medical and safety purposes. The two most popular products are baseball caps or baseball style caps. The other are safety caps used in industrial, food and medical situations where hygiene is paramount and the workers hair needs to be completely covered. Bangkok Companies is a full service product sourcing company in Thailand. For All your caps needs please email bangkokcompanies@gmail.com with your requests. We are the agent of high quality hat manufacturer in Thailand. 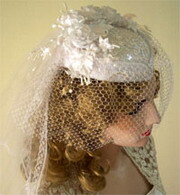 We have many high quality hat manufacturer in our hands. All of them export high quality hats to many countries in Europe, America, some of Asia countries. Busby medical supply Co., ltd. Is a small family run business that supplies government and private hospitals currently only in Thailand. Whilst we are small in size, we have confidence that our business size will increase. We are also looking to supply more than just facemasks and bouffant caps. We are currently searching for companies to supply us with surgical gloves, disposable syringes, condoms and medical instruments. Green (1994) is the small company but flexible to serve all. 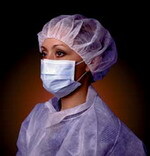 Our main product concern all disposable products especially in 3 ply surgical mask, bouffant cap. Shoes cover, gown and the other products concern in spun bound materials We are the major distributor in the product mentioned. We have the plenty stock available to immediately to suit your requirement. We are one of Thailand's leading manufacturer and exporter of children's hats/caps/clothes. We have various designs for both boys and girls. You can choose the products from our existing design or we also can provide you samples that match to your specification. We also ensure that our products are manufactured using only the highest standard at cost effective price. Products: The various designs for children's hats / caps / clothes for both boys and girls which are manufactured by using the highest standard at cost effective price. Our business is family business and the situation is in Chaingmai Province of northern part of Thailand. We can produce our product about 300 - 400 dozen per 1 type with in 30 days. 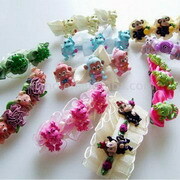 Now we do not have agent for selling in the oversea we would like to participate you to selling in the oversea country. 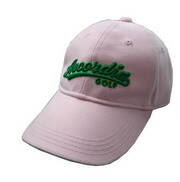 We're specialist in cap, visor, hat, golf's cap and visor manufacturer in Thailand. Our brand name products is available for quality needed brand likes Pga tour, accordia golf (Japan) , kasco golf, mc surf (Australia) , others golf club and premium company only. Our company made grade "A" and "A " quality products only. - FOB price at Bangkok. - Advance deposit 50% to start production and another 50% before shipment. - Production delivery once confirmed order within 1 month. - Sample fee is no charge. We're Thailand manufacturer of Disposable non-woven products looking for importer or distributor in many countries. Our product such as Face mask, Bouffant cap, Round cap, Isolation gown, Shoe cover, Surgeon hood & cap, Beard cover,etc made from 100% PP spun bond non-woven fabric suit for medical and industrial uses. We've ISO 9002 Certified, FDA 510 form USA, Certificate of Free sale this to ensure you that we're supply high quality with very competitive price because the customer's satisfied is our high important goal. Products: Disposable Face mask, Bouffant cap, Round cap, Surgeon hood & cap, Isolation gown, Shoe cover, Beard cover, etc.